Welcome to Mikvah Mei Leah of Merrick! The tradition of Mikvah and the laws of Family Purity are central to Jewish life . Discover more about the tradition. Imagine the ambiance upon entering a unique spa and greeted amidst the calming sounds of flowing waters. We know you would love to experience this awesome setting and believe it or not, now you can! At long last, we are happy to announce the opening of the Merrick-Bellmore Community Mikvah, Mikvah Mei Leah of Merrick-Bellmore. Open to all Jewish women regardless of background, affiliation, level of observance, or personal religious viewpoint – all are welcome! The mikvah is open by appointment only. 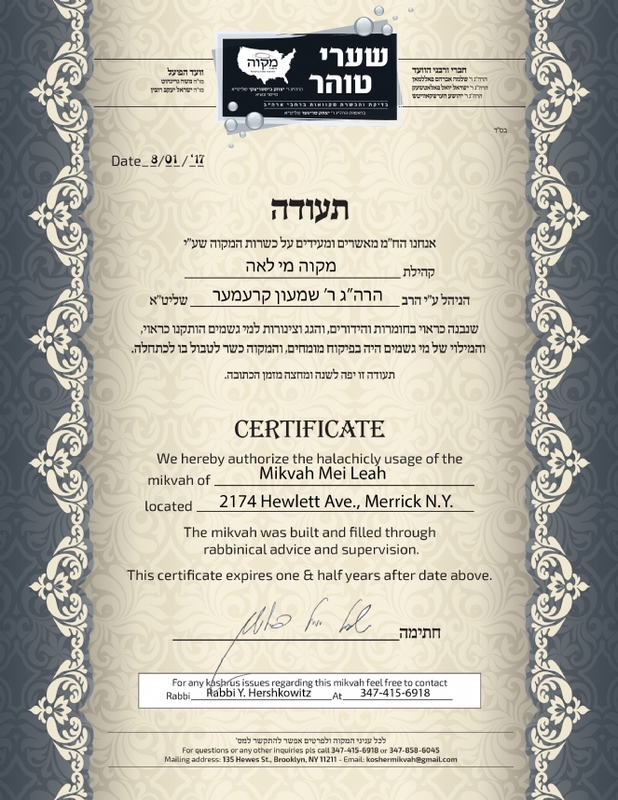 To make an appointment, call the Mikvah Hotline: 516-208-1318 or email appt@mbmikvah.org. Click here for more information. Feel free to browse our site for more information. Uncover the secret depths of Mikvah and discover the spiritual significance behind the mitzvah, bringing the essence of mikvah to life.